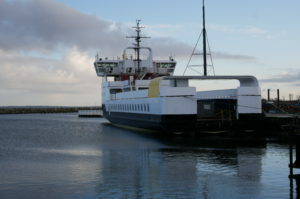 The Sustainable Bottom Line Bornholm project is now well underway, and an increasing number of companies are signing up to participate in the project. Skovly Hotel is the first to get cracking on the more concrete activities. Borrow a free office space at the municipality and shake off your commute! 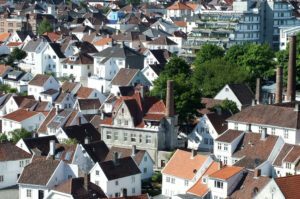 This is now possible for citizens in the Egedal Municipality, which is affected by the closure of the Frederikssund railway line. Other municipalities are also helping the public to get where they need to be during the summer's closures. Energi på Tværs is highlighted as one of Denmarks 100 best municipal climate initiatives by Realdania and Sustania in the new publication "Klima 100"
Should your employees bike to work all summer? 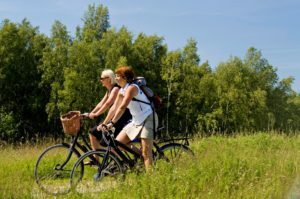 The Danish Cyclists’ Federation has extended its May campaign in collaboration with the Moving People project, inviting all those affected by the summer's railway line closures and others who work in the Capital Region of Denmark to participate in a summer edition of WE CYCLE TO WORK. Gate 21 has collaborated with the Nordic Region's largest Smart City conference and now invites all those who are interested on a study trip to Nordic Edge 2018, hosted in Stavanger. The companies in Moving People have come together for a workshop to promote the use of bicycles among their employees. Get inspiration here for what's been happening and how you can do the same. Horizon 2020 is the EU's largest pool for research and development projects, with nearly 80 billion EUR on offer between 2014 and 2020. 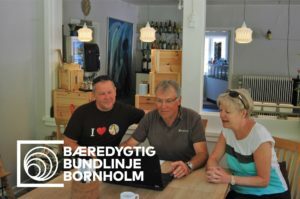 Sustainability must also be good for business – this is one of eight new goals that a large group of citizens discovered during Bornholm Day, held last November. Together with a number of partners, the regional municipality is now rolling out a project that will pave the way forward for green industry and bring the island's small and medium-sized businesses into the green transition. 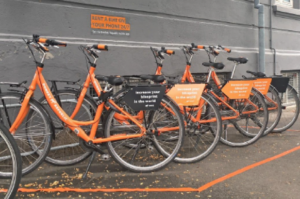 City bikes in the fight against "the last mile"
A new pilot project with city bikes should make it more attractive to leave the car and take the train to and from work for some of the 25,000 commuters who work or study in Lautrupgård, Ballerup's largest business and industrial area. If the project succeeds, there is great potential to spread it to other metropolitan areas of business. 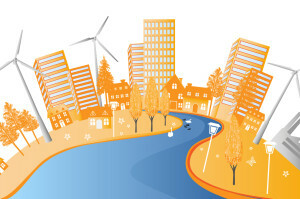 Gate 21’s six programs are based on climate and energy challenges, both regional and local, and are reflected in the focus areas Buildings & Cities; Transportation; Energy; Circular Economy; Green Growth and Smart City. In the focus areas, we develop new technologies, services, platforms, tools, processes and skills that support local efforts towards green transition and business opportunities for green growth. 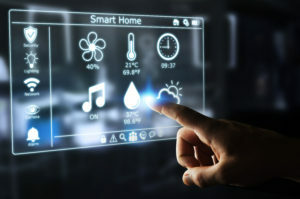 Gate 21 will help to establish, coordinate and profile Living Lab activities and cooperation with key stakeholders and partners, as well as existing initiatives. In addition to the strong network forged between partners who participate in projects and Living Labs, Gate 21 has a number of forums and events for partners and members.